Notes: The Aeroshuttle was initially conceived as a support craft for the Intrepid-class, but some were also assigned to other starships and Starfleet installations. Construction of two prototypes began in 2369, closely followed by 15 production craft, seven of which were assigned to the new Intrepid-class ships. 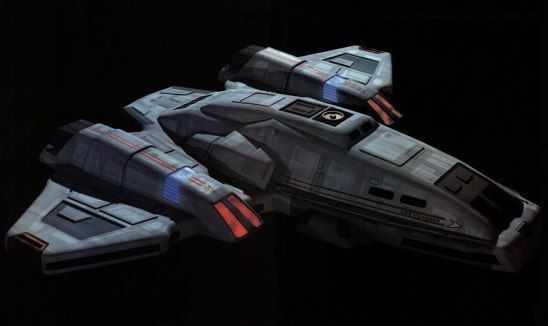 The Aeroshuttle was then officially commissioned in 2370 and its success led to the development of the Waverider atmospheric operations shuttlecraft.